Homes as well offices are getting smaller and smaller and real estate prices are increasing these days, As a result many individuals are downsizing and putting extra goods in storage. Items that are not needed at the point or cannot be accommodated (because of some restructuring activity, lack of space etc) can be safely kept in warehouses for a specified time frame. Also, due to security reasons, JIT (just in time) practices and many other factors, the warehousing or storage facility has gained special importance. There can be several other reasons because of which private people and businesses need to store goods. This service is there for a relatively temporary phase, while final settling takes place at the new location specified by the client. In this service, normally the relocator from the client's end needs a notice of around a week or two. The duration of storage is decided at the beginning of the period and the contract can be revised at the end of the agreed tenure, if required. 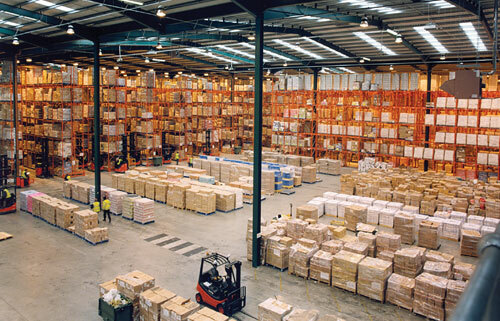 In case there needs to be a halt or a break journey, the goods are kept secured in the warehouse of the relocating company. This service may be free up-to a certain period or completely paid, depending on the nature of goods or the policies of the service provider. This also falls under the category of the temporary storage services. This facility is needed when there are scheduling conflicts and that storage is needed for just a night or two. This saves the customer substantial time and money that otherwise goes into renting a storage space and cost of unloading and reloading the belongings. The belongings stay on the locked truck and delivered to when needed. This facility offers personal as well as business users, a storage solution that they can control themselves. In this, the client packs the goods and gets them to the facility on his own. It is a secured solution because he can only access the storage unit the customer hires.